Do you have a mentor? Not a “life coach” or “trainer”. The difference can be as simple as the cost. I’m not trying to suggest the value is different or that you don’t need to pay someone to help you reach your goals. I’m asking because I involuntarily became one this week. Not my first time being asked to be a mentor, but a first for this invitation. It came out of the blue and from the other side of the planet. A complete stranger from Johannesburg, South Africa asked to connect with me on social media after seeing me on Russian Television Network, RTV. He had happened upon the documentary, “No Limits”, the third instalment created by Academy Award winning Canadian filmmaker, John Zaritsky. The focus of all three award winning episodes filmed over 30 years is Thalidomide, the infamous morning sickness drug banned in 1963 and invented by Nazi scientists for use as a sedative at death camps like Auschwitz. This shocking element of the film caught this man’s attention and then he saw me playing the drums in a speech as I am one of the key subjects in all three documentaries. He was very inspired by my story but mostly by how accepting I was of my life. He wrote: “My business mentor is Richard Branson but my new life mentor is you, sir!” His messsage to me was very personal and I will keep his name confidential but it wasn’t the first time I chatted with someone from that part of the planet. Darlene and I have been to Johannesburg and Durban when I spoke in both places a few years ago. Nothing like actually going somewhere to learn about it instead of searching Google! Living in South Africa is very challenging, as the world knows but what I learned personally is the task of reconciliation after Apartheid was a much tougher task than even the inspiring leader, Nelson Mandela, could conceive. I believe it’s rooted in how deep the divisions between Black and White South Africans run but more to the point, when it didn’t happen quick enough, too many people lost hope and gave up. Sorry to sound preachy but “Giving Up” is not in my belief system. That is specifically why my new South African “Mentee” reached out to me as my story spoke on a deep level to him about “The Power Of Perseverance”. Also not the first time I heard that about me! Today, if you search for “Motivational Speakers” or “Inspirational Authors”, you turn up thousands if not millions of names from all over the planet. There’s the obvious ones. Ghandi, The Dalai Lama, the late Wayne Dyer, a personal favourite. And there are those who are a tad less altruistic in my view like Tony Robbins and yes, even Brian Tracy. 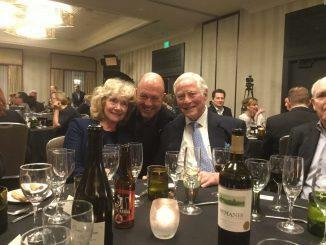 As you can see from the photo, I met him and his wife Barbara at an awards banquet in San Diego. I actually sat at their table and had a chance to get to know them better. Honestly, I rarely get “star struck” and wasn’t on this occasion either. I was actually at the moment of the photo feeling profound humility and pride. You see, I wasn’t the speaker that evening. Brian Tracy was. And amongst his topics that night was me! I have been given countless accolades in my life but one of the most flattering is having an award named after me. Focal Point Coaching is a very successful company that trains business coaches to work with companies and their leadership to become more profitable, financially but more important, philosophically. They collaborated with Brian Tracy and his company to create a licensed, proprietary training program that’s considered one of the best in the world. I have been hired by Focal Point’s CEO, Steve Thompson, several times, even before he and his partners created Focal Point. They have access to the best motivational speakers on the planet, yet they have picked me several times. Steve says it is largely because I am, as he describes, “The Real Deal”! So real, in fact, Steve’s Executive Team decided to create an award to be given annually at their International Sales Conference bringing together their people to inspire and grow them so they can do the same for their clients. They give out typical recognition for top sales, top team, most improved, etc. But their corporate philosophy embodies more than just sales figures. Their people are human beings and as all of you reading this know very well, it seems to be more difficult than ever to be alive. Mental Health, rightfully so, has come out of the shadows and the stories of depression and yes, even suicide seem all too common. Resiliency is hard to define and it’s clearly more than just “Quotes On The Internet” that people need to make it through genuine struggles in every element of life. Honestly, humility is one of my own struggles because I hear over and over what an inspiration I am to so many. That’s a lot to carry. But I have grown great strength that doesn’t come from a gym. 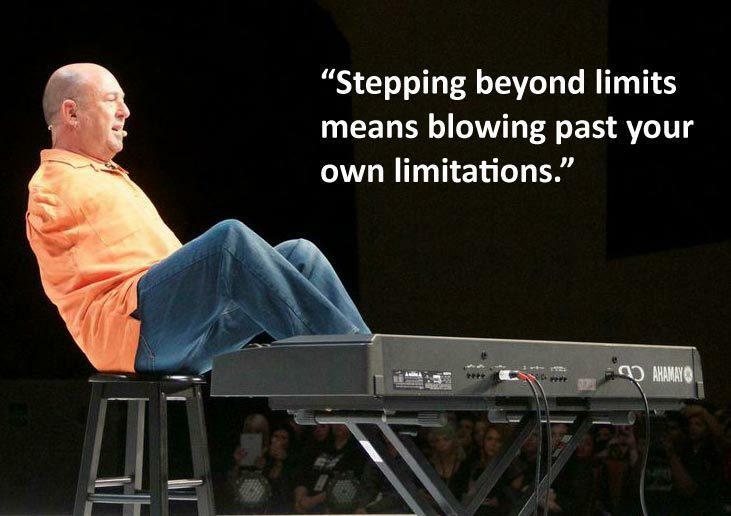 It comes from overcoming huge obstacles, both physical and yes, philosophical. Nobody is immune, not even high end business coaches. So Focal Point named their newest recognition, “Alvin’s Law of Perseverance” Award. They even flew me to San Diego to present the inaugural plaque and say a few words. This was right before Brian Tracy gave his speech. He was at the VIP table right down front, where I sat as well. And as I spoke, he was twenty feet away, watching me. One of the world’s great orators and prolific authors, not to mention very successful and mega rich is waiting to see what I had to say. Was I nervous? Not even a little. I was pumped. I had great story to tell, and please remember, I may be classified as a “motivational speaker” and I am, but I am a storyteller. It’s a fading skill. Experts suggest we don’t “have time or patience” to listen to a spoken story. Maybe that’s part of our newest problems? Storytime! ”A couple of years ago, my wife and business partner, Darlene, and I decided to use some of my considerable points earned staying at Starwood Properties for an escape to Maui for New Year’s. After spending January 1st exploring one of our favourite Islands, we chose a beach pub for dinner. It was very busy, as you might imagine and being a school holiday, lots of families…with small children. You do know I don’t blend in very well, especially wearing beach clothes. A big winter parka can disguise my lack of arms but this was Maui. Instead of waiting a couple of hours for a seat in the dining room, we went to the bar and as is so often the case in our lives, a table opened up right away, so we sat at it. Being so busy meant being pretty squished and we were right next to a table of around ten, including four small kids around three to five years old. As soon as I put my foot up to grab my beer, the children noticed. Of course they did. Even with the internet, you don’t see this everyday. So they made a beeline towards me and asked the honest questions small children excel at, with no manners or filter either. I’m used to that. Probably started practicing motivational speaking when I was their age answering questions…millions of them by my age now of 58. What always coincides with a small child question is an embarrassed parent. I thought I’d seen it all. Apparently not. About a year earlier, I had presented at Focal Point and brought a few copies of my Bestselling Book, “Alvin’s Laws of Life”, for door prizes and CEO Steve had kept one to give to Brian. There wasn’t a motive. Steve thought he’d enjoy the book. So Brian Tracy, the man himself sends me a note. Old school. Plain white envelope with a subtle return address in California. Inside, a small piece of simple paper with a company logo and written in pen a short note thanking me for my book and how much reading it meant to him. The note blew me away. And now meeting this incredible thought leader on the beach and I get a hug? And now I’m standing on a stage while he’s taking in my recounting of the encounter on Maui. I had to tell the story because it had a great punch line. After several attempts,short of taking off my shirt in a restaurant, these little girls were convinced I was playing a trick. Even one of my favourite lines; “Nothing Up My Sleeve” didn’t work. That’s when the pack leader kneeled down, looked up my board shorts and screamed…”Are they up there?” Needless to say, anyone in ear shot in the bar broke out in uncomfortable laughter, and that evening in San Diego, pretty much the same. Brian himself wiped a tear. But I wasn’t done my reason for being there. To present the Alvin’s Law of Perseverance Award. So I connected the dots. It’s what I do, and very well I might add. I don’t just tell stories to hear myself talk. They are always about something the audience needs to hear…for them! The dots in this case as I presented the award to its inaugural recipient was that what I have learned is “Positive Attitude” is not a cliche or product hook, it is a “Behaviour” and like a bad habit that may seem impossible to break, it can conversely be an “Awesome Habit” with the same power of transformation. “And It Never Goes On Vacation”…even on Maui! Most vital, “Perseverance” is impossible without “Positive Attitude”! And it’s hard! When I first heard from CEO Steve asking if they might name the new recognition after me (asking “Me” for goodness sake!) he reasoned that in their high end coaching practices, they deal with some huge egos and a method of addressing that is to remind them of a couple of key thoughts. First, becoming an executive take such hard work and dedication, it is the essence of “Perseverance”, so the idea is you learn from your own experience. But second and likely more vital is learning from other leaders how they’ve succeeded and if possible, finding a mentor to help. We’ve all got something. Something that interrupts life. Something that gets in the way. Something that tests our faith and I don’t specifically mean the religious kind, just faith in humanity. We experience loss, heartbreak, illness and on and on and on. Coping is never easy but I strongly believe that’s when “Perspective” is essential. Ours, of course, but might we learn as much or more from someone else? Especially someone who has “Been there, done that”! Even more, someone you respect, look up to, admire, even worship, although that last one can be creepy! One last observation. I believe your mentor should be a person of high regard and character. That sounds obvious but some people confuse “mentor” with “hero”. I can think of many celebrity types who people idolize and I think to myself…”Really?” As a mentor, I take it very seriously and in fact, knowing how many people see me as an inspiration to push themselves beyond what they believe is impossible keeps me in check myself. As cliche as it sounds, what if every single one of us lived as if somebody was watching? Well I can guarantee “Everyone” watches me and that consciousness has made me a better motivational speaker, author and most important, human being. If utilizing my having no arms to raise the bar for humanity, even a stranger from wherever, then I’m honoured to be a mentor because…”Mentors Matter”! Greetings Alvin, I became aware of your presence today thanks to the randomness of the internet. I already love your voice and the perspective you bring (of course, I have not read much yet). I have met few who have a similar view to me on ‘diversity’. Bravo! I agree that mentors need character. The value in another individual is who they are, I believe, rather than in their list of accomplishments. A teacher with 40 years in an elementary classroom may have no awards or be known beyond their town, but may well have inspired belief in thousands. And belief enables everything. I think the most valuable characteristic in a mentor is that they are driven to do it: to receive ‘light’ and pass it on. And you clearly are. THIS is my first time of coming to know about you and some of your work. i will say im really impressed with what i see. my name is Goke from Nigeria. i will love to follow your works. Your insight never ceases to amaze me Alvin. The way you see things and can articulate and “connect the dots” is such a true gift. Thanks Jan. I truly appreciate your comments. Have a great day!